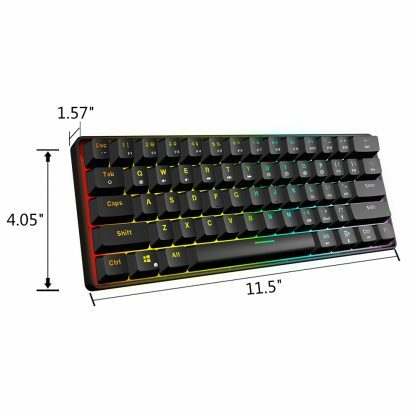 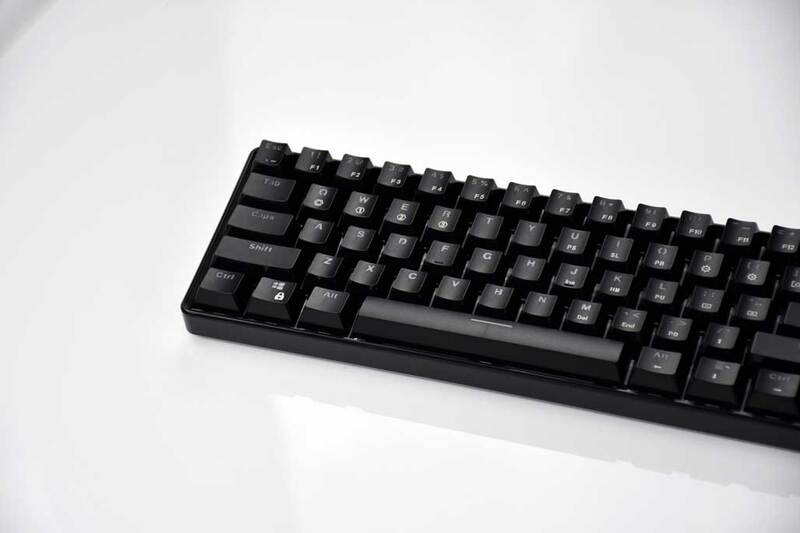 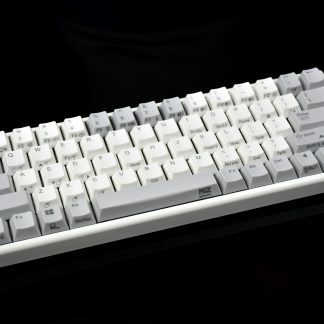 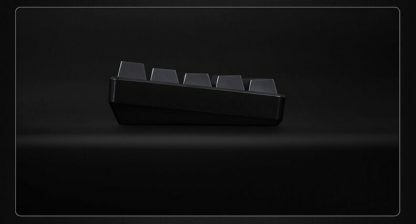 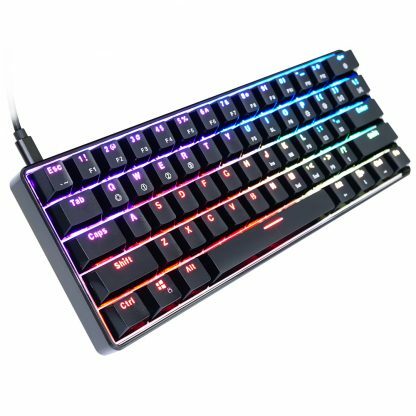 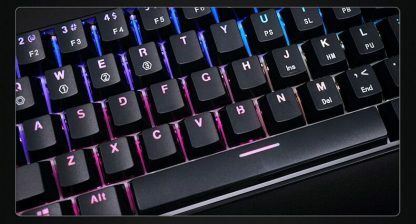 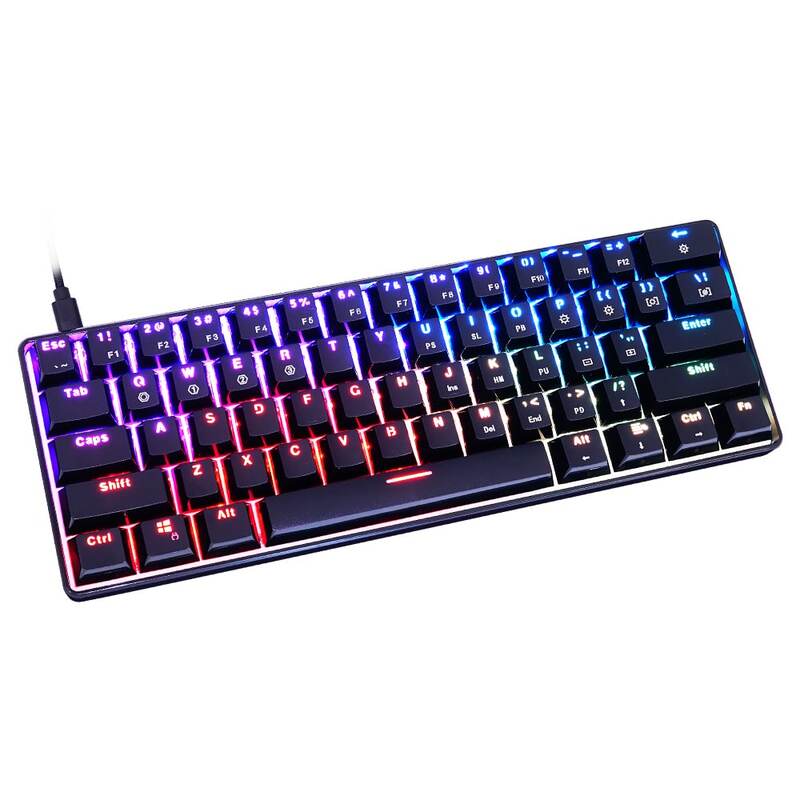 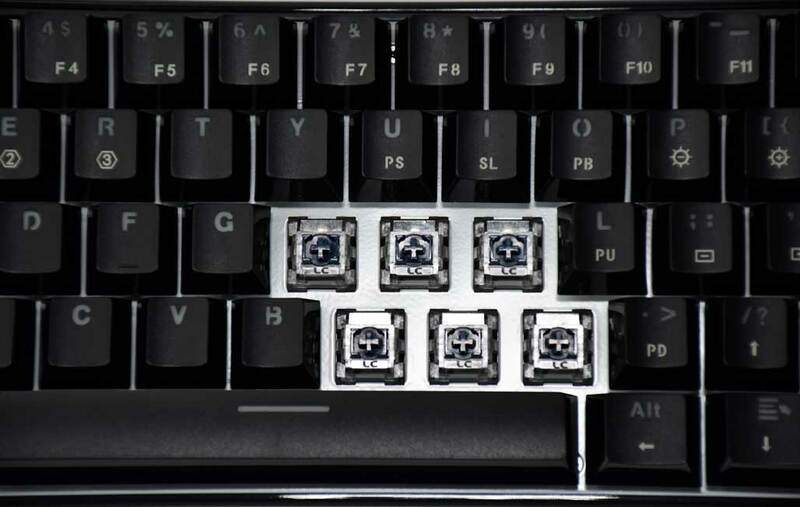 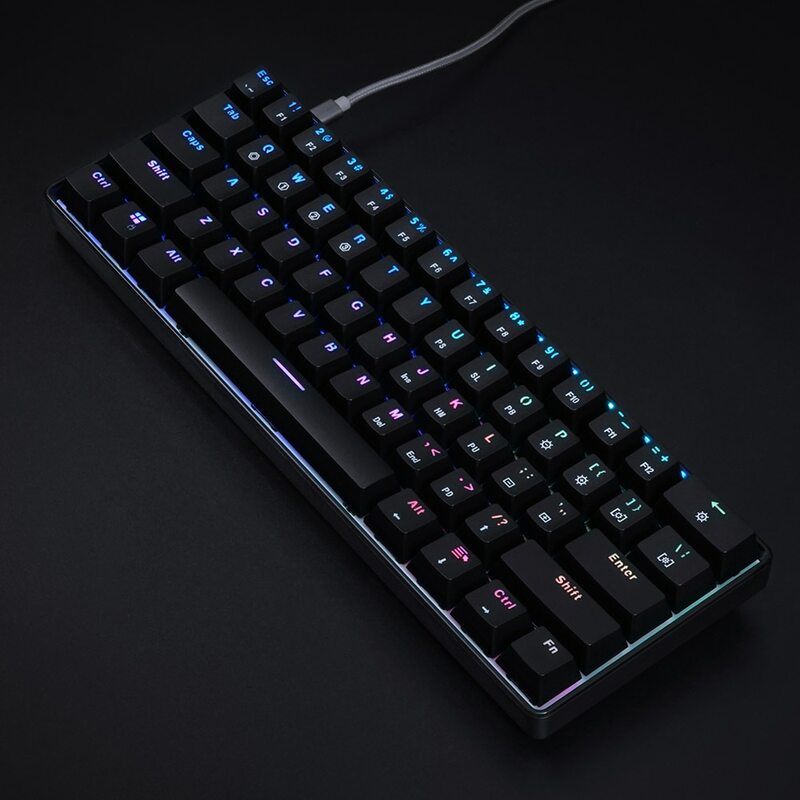 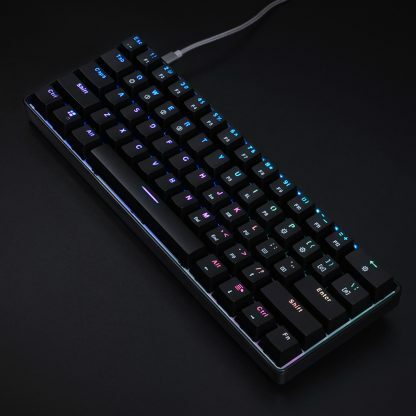 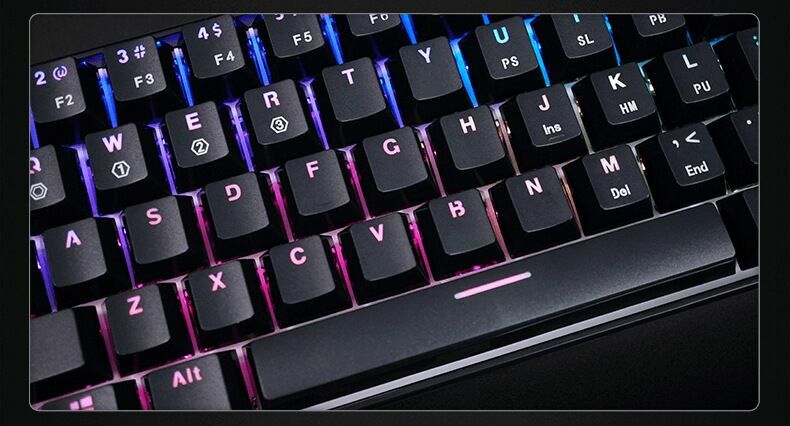 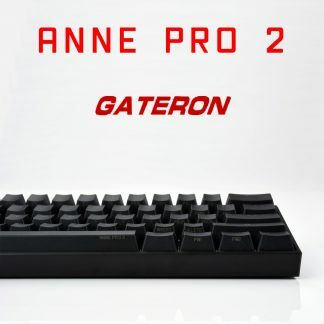 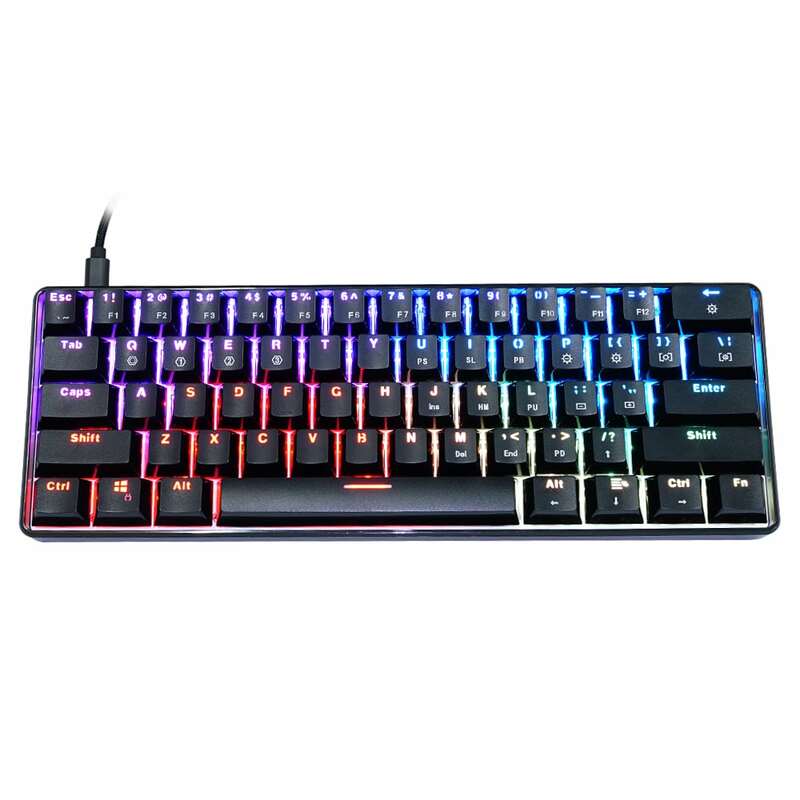 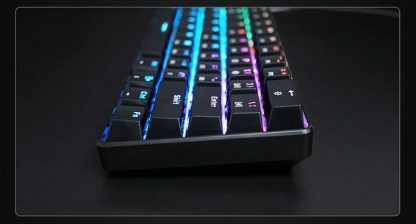 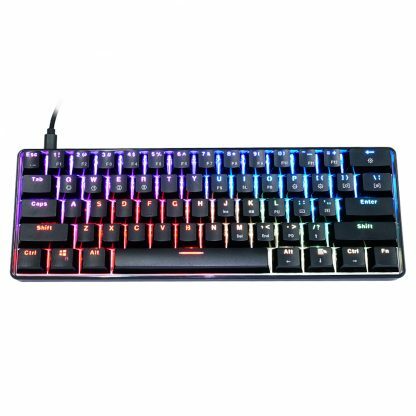 GK61 is a standard-sized 60% keyboard featuring RGB backlighting, USB-C wired connection, and Light Strike brand optical switches (clicky). 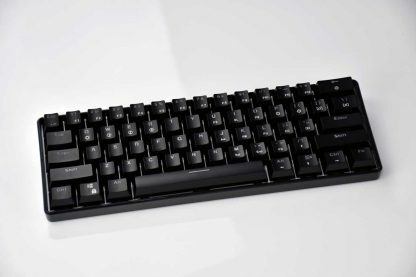 The USB-C cable is detachable for convenience of portability. 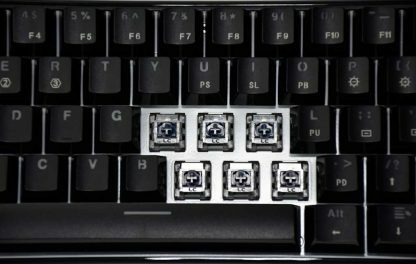 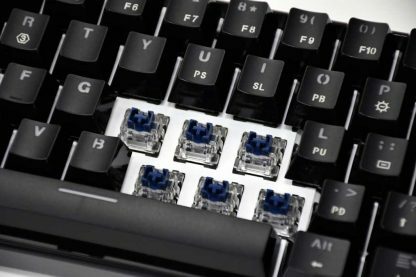 Optical switches are much more durable than conventional mechanical keyboard switches and are rated for 100 million keystrokes. They have a high actuation point of 1.5mm for fast response. 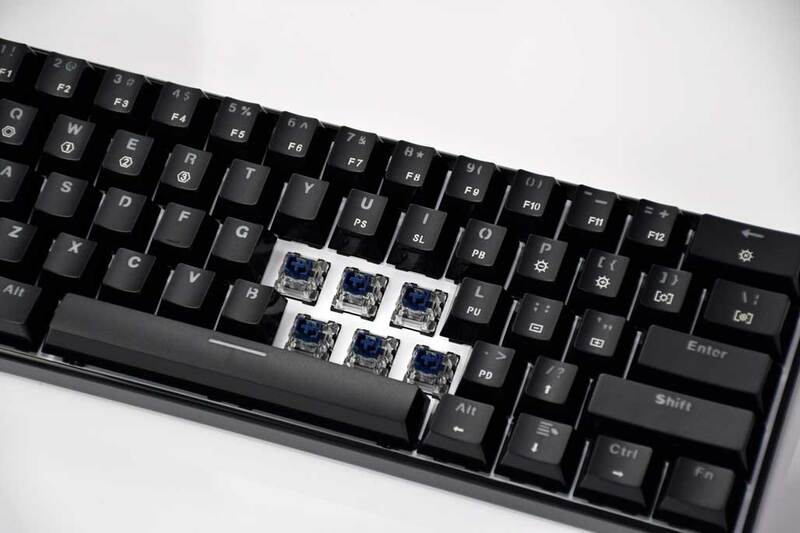 Light Strike optical switches utilize a horizontal infrared beam which is transmitted across the width of the inner keyswitch. The infrared beam is normally blocked from reaching a sensor across from it by the stem. Once a switch is pressed, the switch stem no longer blocks the infrared beam and the beam is detected by the sensor, which activates the switch. 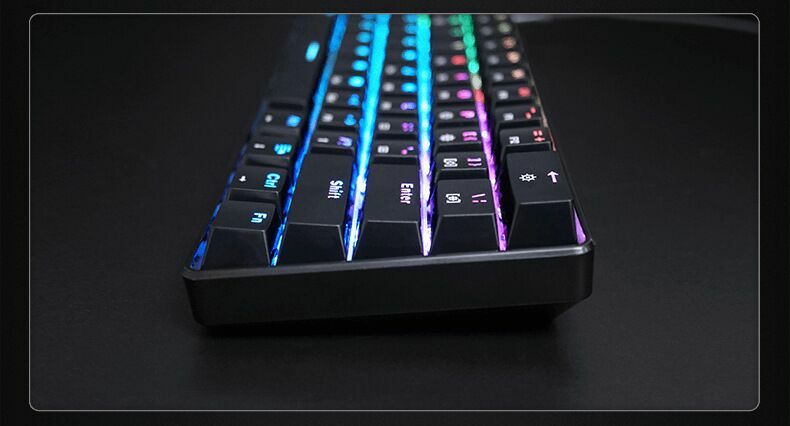 Due to the optical mechanism, an optical switch has an extremely fast response time of 0.2ms, which means faster reactions in those times where timing is critical, such as when gaming.